MPD Racing's new Axle Spacer System utilizing a split cone spacer allows you to move the wheel in or out without going to your jack handle looking for the right size spacer. Once you have the spacing correct, you simply move the existing spacers from the inside of the wheel to the center of the split cone or vise versa. 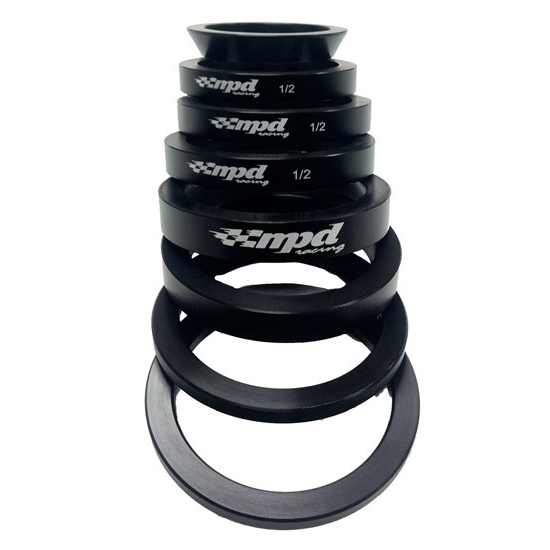 Kit includes the following: split cone, two of the 1/4" spacers, four 1/2" spacers.